Welcome to this stunning 2 story home. 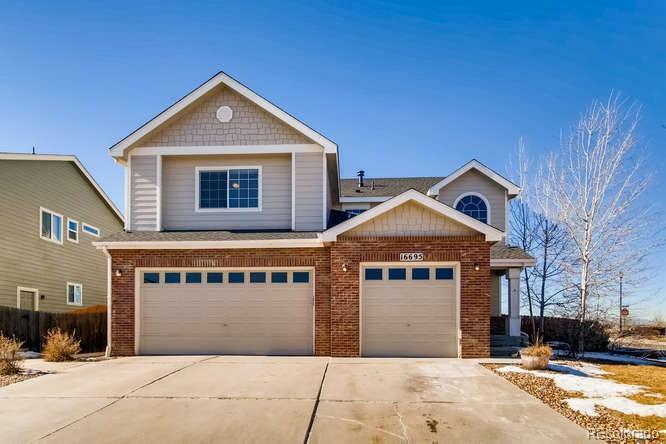 This house is gorgeous and move in ready in a highly desirable North Creek Farms community with Adams 12 school district. Beautiful mountain views, longs peak. Newly finished basement with kitchenette , an additional room , bath and a family room. Stainless steel appliances, tile floors and tile granite counter tops. New roof. Big master with his and hers closet. Right across a walking trail and a big park where summer picnics and movie nights are hosted by HOA. There are additional parks with walking trails and basketball courts throughout the neighborhood. Close to schools, parks and shopping such as Orchard Town Center. Only minutes away from newly opened Denver Premium Outlets. Top Golf is currently under construction is 5 minutes away. This home has it all , schedule your showing today.